It’s often easy to get swept away at this time of year and fill your house with loads of commercialised plastic! Harry Potter, Lego and Barbie will definitely be the top themes under our tree this year but, as a busy working Mum myself, I also want to show some support to independent small businesses run by Mums and give you some ideas for your shopping lists this Christmas. Tot-Bag was created by 3 busy mums who are passionate about wanting their children to spend as much time outdoors as possible. 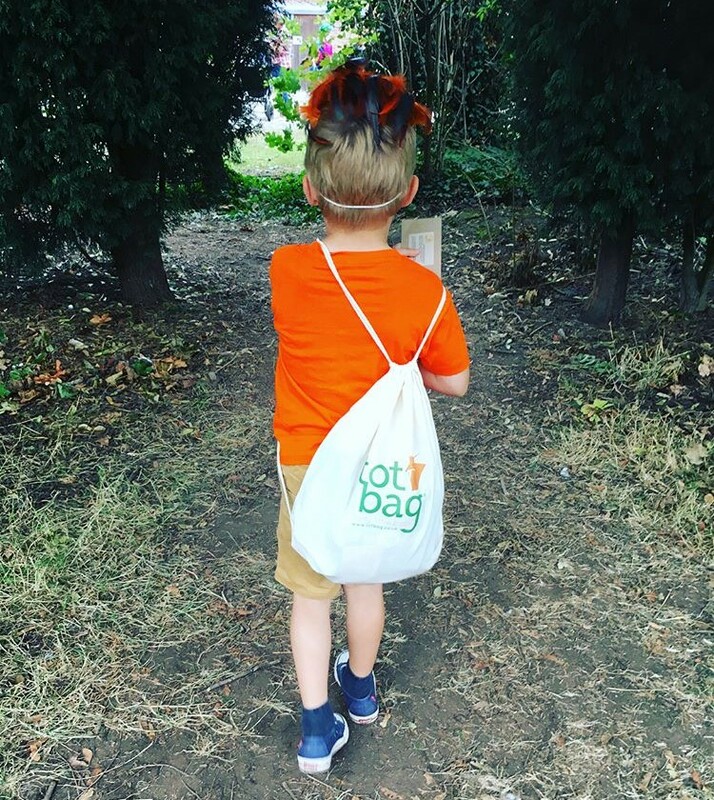 Their tot-bags and tot-boxes allow families to spend quality time together whilst encouraging creativity and exploring and appreciating the outside world. 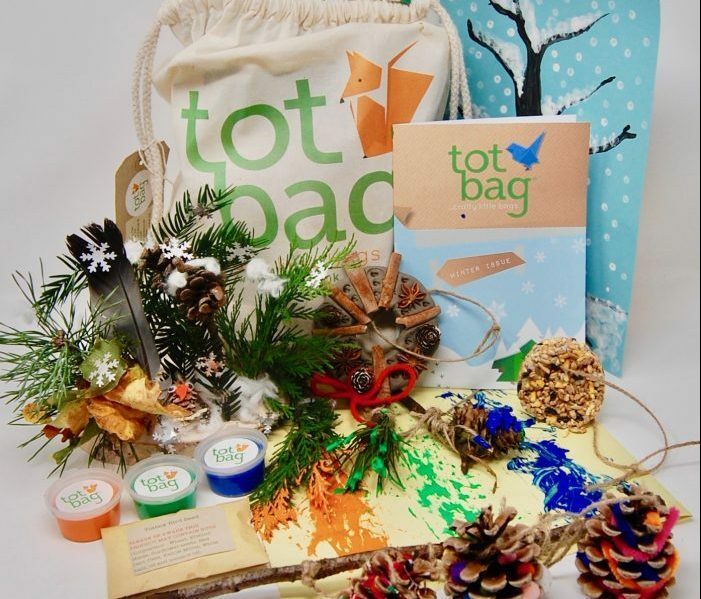 Each natural-cotton tot-bag is seasonally themed and contains: carefully chosen outdoor activities created by teachers, linked to the National Curriculum and suitable for children aged 3+; all the additional materials you need to complete the activities; an informative nature journal and exciting additional fun and games. This Winter Tot-Bag is an ideal Christmas gift for children and, at only £14.95, it’s very reasonably priced. Or, if you fancy spending a little more you could invest in a Tot-Box subscription for £6.95 a month with 1 month free trial. Visit here. for more info. It’s often difficult to think of something to give a baby for Christmas. So to avoid the overload of baby clothes and soft-toys, Sarah at Halia Rose has come up with the answer! 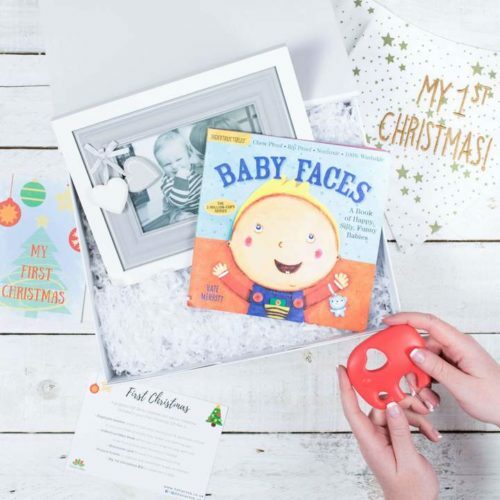 Her “Baby’s First Christmas” gift set has really caught my eye this year as a beautiful and unique gift. – Indestructibles book which can be chewed on, played with and a great interaction for Mummy or Daddy to make funny faces with baby! …all wrapped up in tissue paper and presented in a beautiful box. 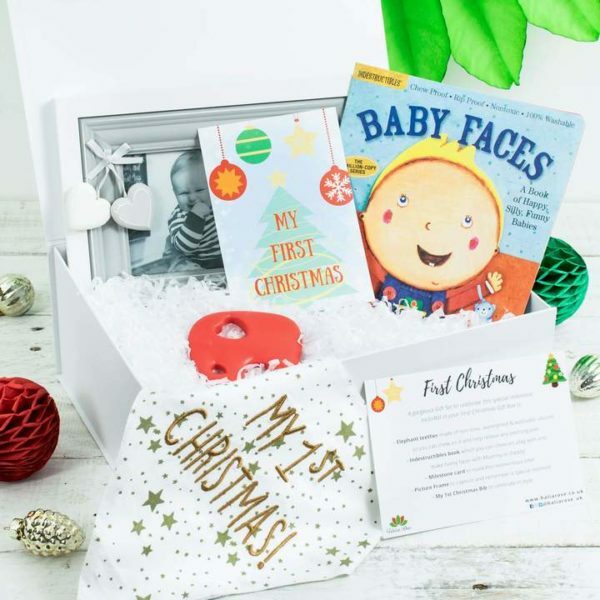 The perfect gift to celebrate the all-important milestone of a Baby’s First Christmas! Buy yours here. Sarah Reeve is a work-from-home mum. She doesn’t have a shop or a website and doesn’t advertise but making jewellery is her passion and she sells beautiful bespoke pieces from her Instagram page. One of my favourite quotes is: “Good friends are like stars. You can’t always see them but you know they’re always there” and this resonates with lots of busy mums who don’t get to see our friends as often as we like. Sarah has a love of stars and incorporates them into much of her jewellery so what better way to tell your best friend you’re “always there” by buying her some star jewellery. Visit Sarah’s Instagram page for more information. Visit Jemma’s online store here. How beautiful is this print? And at only £8 (plus £2 p&p) it’s an absolute bargain! 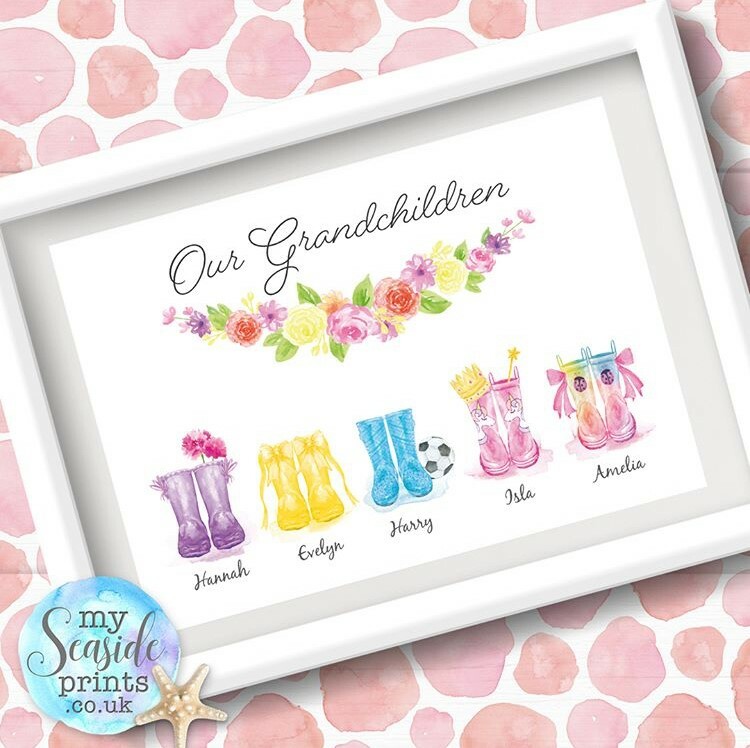 My Seaside Prints have lots of beautiful prints on their site which is run as a hobby by a busy mum, Alison, who designs, prints and ships everything herself whilst also working as a Graphic Designer specialising in Children’s toy packaging and product design. Visit the site here. You need to treat yourself at Christmas time too and every year I treat myself by buying a new Christmas jumper! 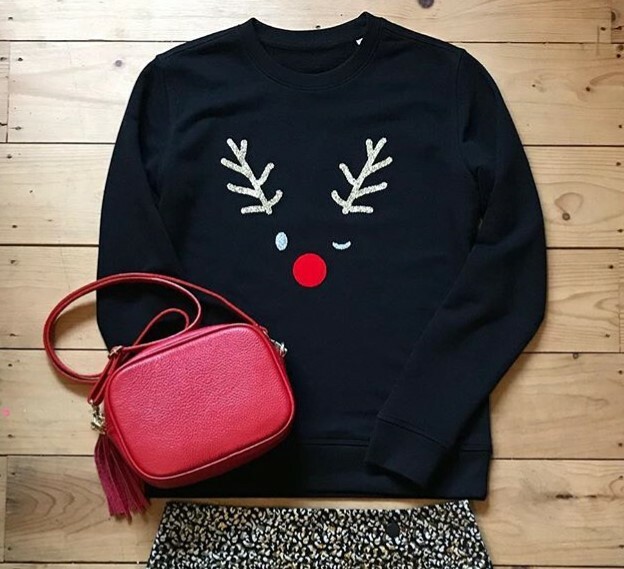 This awesome, limited edition sweatshirt from Ruth at Stripy Giraffe can be dressed up or down and I love the cheeky winking reindeer design! 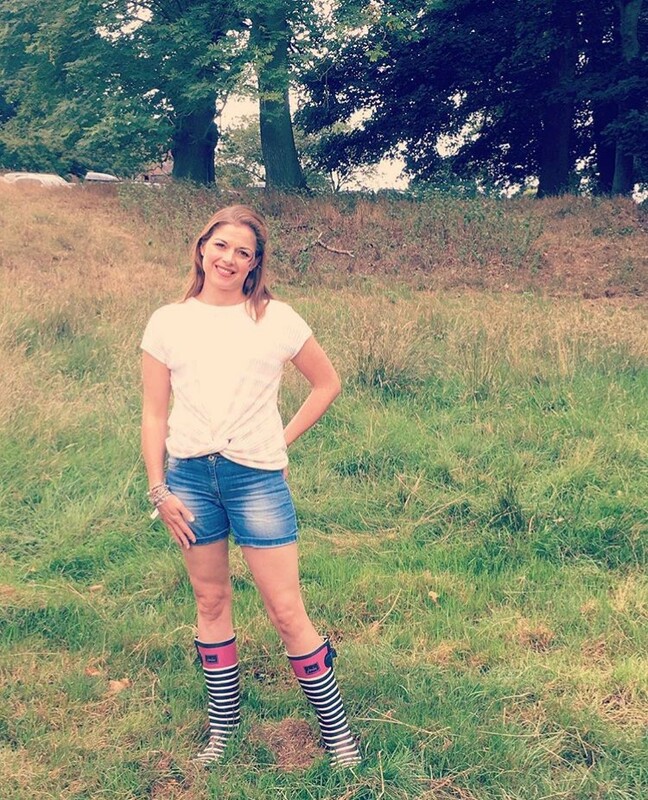 Ruth is a mum of 3 from Surrey and her website can be found here. N.B. I haven’t received anything in return for this post – I’m just sharing some mum-love! All views are entirely my own. 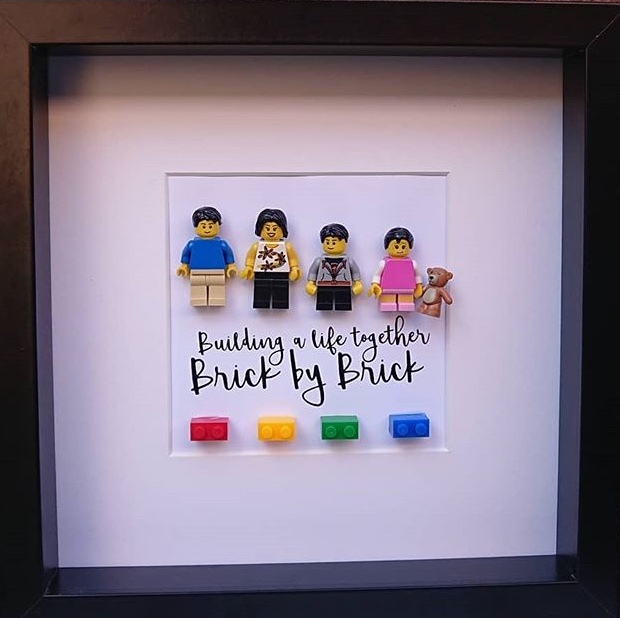 OH the Lego Family frames are AWESOME!!! Just wish I would have saw this before I bought my sister’s present. Her family is a “Lego” loving family. They’re fab aren’t they!! Thanks for commenting! I love this gift guide a really great way to support smaller businesses. I do like the Lego pictures! Thank you! They’re great aren’t they! Thanks for commenting! These are all fab ideas! I love that you’ve put together a small business gift guide, always great to support the small ones when we can! Love those bracelets from SARAH REEVE DESIGNS. They are so pretty! I love the look of the bracelets, they are beautiful. 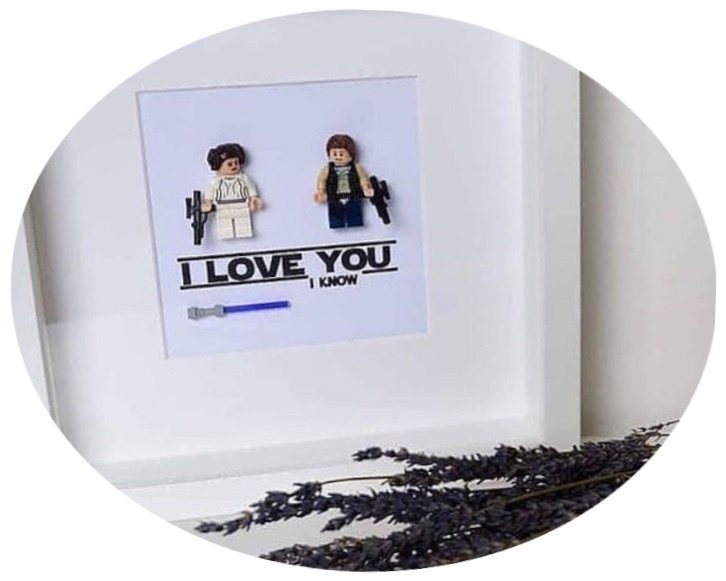 The lego pictures are a unique idea, like those. Love these alternative gifts and special finds. Especially like the personalised frames. Thanks so much for linking up at #KCACOLS. Hope you come back again next time. I love the sweatshirt so much. All of the gifts are really well made and very nice to look at. I still havent got round to all of my christmas shopping so I will be visiting all of their online stores.